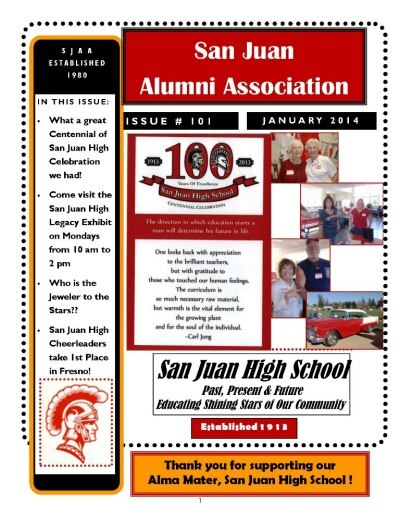 Memberships - San Juan Alumni Association, Inc.
We use PayPal as our online secure payment system and YOU DO NOT NEED TO BE A PAYPAL MEMBER to make payments using Visa, Mastercard, American Express, Discover or Bank payments. You will be redirected to the PayPal payment page to make your payment, then returned to this website once your transaction is complete. * BUSINESS ADS INFORMATION: Business Advertising provides Alumni and sponsors the opportunity to display an image of a Business Card on our website and within our Newsletters. You will need to send a Hi-resolution image of your Business Card to the SJAA Webmaster (Rick Engvall).